Dr. Tiago Mestre A personalized approach for Parkinson’s care pioneered in Ottawa will soon be tested in Europe, thanks to a prestigious $2.2 M grant. This approach, called the Integrated Parkinson’s Care Network, was developed by Drs. Tiago Mestre and David Grimes. People living with Parkinson’s identify their care goals with the help of an expert nurse, who coordinates referrals to specialists in the hospital or community. This approach has the potential to improve quality of life with little cost to the health care system. The researchers also plan to develop digital health technology to empower patients and make care available independent of geographic location. Already piloted in Ottawa with 100 participants, the international project will implement the program in Parkinson’s care centres in six European countries. Researchers will study how the program can be developed and how it performs in different social and cultural contexts and health care systems. The project received $2.2 M from the EU Joint Programme on Neurodegenerative Disease Research and $350,000 from Canadian Institutes of Health Research. 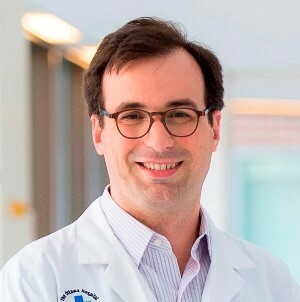 “I’m excited about this project because it has the potential to make a real difference for our patients, and the results can impact patients’ lives today,” said Dr. Tiago Mestre, a Parkinson’s neurologist, associate scientist at The Ottawa Hospital and assistant professor at the University of Ottawa. This research is also supported by generous donors to The Ottawa Hospital, the Parkinson Research Consortium, LesLois Foundation and the University of Ottawa Brain and Mind Research Institute.